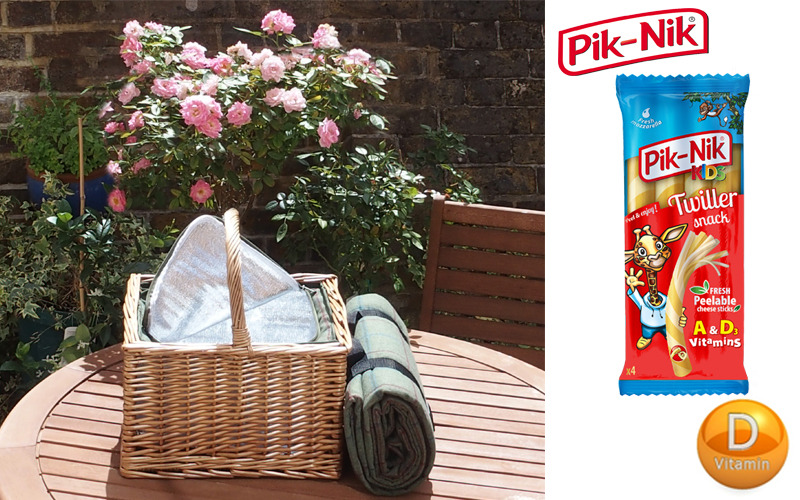 To put extra sunshine back into your life, Pik-Nik is offering a prize picnic set, packed with cheesy goodness. Five lucky prize winners will receive a beautiful wicker hamper with inset cool bag and matching picnic blanket, packed with a selection of cheese and Pik-Nik Twillers. As winter takes hold Vitamin D levels start to drop, but the good news is that Pik-Nik cheese sticks contain calcium and now are also enriched with Vitamin D, unlocking even more support for the body. Vitamin D is a necessary part of a normal diet and can help fight off those winter woes such as colds, the dark day blues and even dry skin. So, pack up your picnic with extra sunshine and enjoy a family day out with this fabulous prize. A Pik-Nik Twiller is fun to eat, tastes great and is a good source of Vitamin A as well as Vitamin D. It is made from fresh mozzarella, with no artificial additives or preservatives. It is a filling snack and the perfect pick-me-up for children, students and those who like to keep healthy and active. The mozzarella in Pik-Nik is made from fresh milk which is started on its transformation into cheese by a rennet that is suitable for vegetarians. Mozzarella has a very elastic nature and Pik-Nik cheese sticks are made by stretching and folding the cheese, creating segments which are just perfect to peel. Pik-Nik is now available at Sainsbury’s in the Polish food chiller cabinet from £1.00 to £1.50 dependent upon promotions.